Print Your Christmas Cards Here! You are here: Home / bottom2 / Print Your Christmas Cards Here! 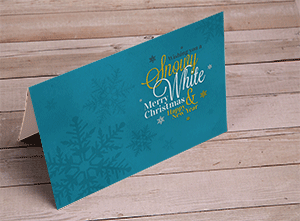 Did you know that Reprographics can print your holiday cards for you? 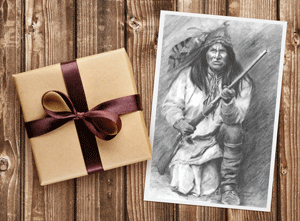 From original artwork to family photos or even stock graphics, if you can print a PDF file, we can print it. Why buy a generic box of cards when you can create something unique? This version is a collection of clip art with interesting typography. A unique color scheme can set your cards apart. This example, from an original piece of art by C. Morton, can be used as note cards throughout the year.